This entry was posted on October 23, 2014, in HR. Bookmark the permalink. 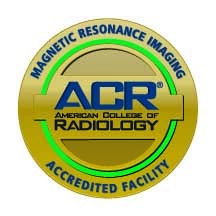 (Macon, GA) – Coliseum Medical Centers has been awarded three-year term of accreditation in magnetic resonance imaging (MRI) as the result of a recent review by the American College of Radiology (ACR). MRI is a noninvasive medical test that utilizes magnetic fields to produce anatomical images of internal body parts to help physicians diagnose and treat medical conditions. This most recent accreditation includes MRI Cardiac Imaging, making Coliseum the first and only facility in Middle Georgia to acquire this accreditation. This accreditation is an indicator to patients that safety is the first priority at Coliseum Medical Centers and all precautions are in place during testing, from the equipment to the highly trained staff. Owned by Hospital Corporation of America (HCA), Coliseum Medical Centers is a 310 bed facility offering a 24-hour emergency room, inpatient and outpatient surgery options, rehabilitation programs, behavioral health and diagnostic services. In addition, CMC breadth of care options includes specialty facilities such as the Coliseum Heart Institute, an advanced cardiac center offering all services from non-invasive cardiology to open heart surgery, Coliseum Rehabilitation Center, Coliseum Robotics Institute, Coliseum Cancer Institute, Coliseum Center for Pelvic Health, Coliseum Diabetes Management Center, the Family Ties Birthing Center, which includes a level III neonatal nursery, and the Coliseum Center for Behavioral Health provides treatment to adults with psychiatric and addiction issues. The services provided include inpatient and outpatient programs, as well as, a specialty program for senior adults. For more information about Coliseum Medical Centers’ services visit www.coliseumhealthsystem.com.